Spring has sprung in my closet! Happy March! Before Stitch Fix sends out your box, you have the chance to fill out comments to send to your stylist. This is your chance to ask for items you are looking for, give events you will be attending that you need attire for, etc. While I was filling out comments for my personal stylist to review, I asked for spring items that would freshen up my closet with color. HOLY MOLY did they succeed! 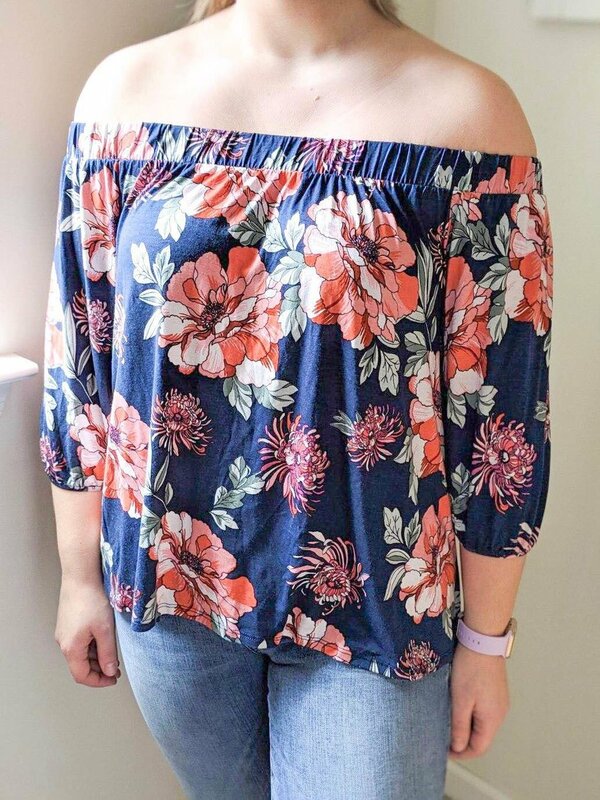 First is a gorgeous blue and pink floral off the shoulder blouse from LOVEAPPELLA! This is not only perfect with skinny jeans and flats but will be perfectly paired with white shorts in the summer! I was also given the epitome of the best spring outfit ever. A lightweight grey and white striped button-down blouse, complete with a tie knot front accent by VIXBE. 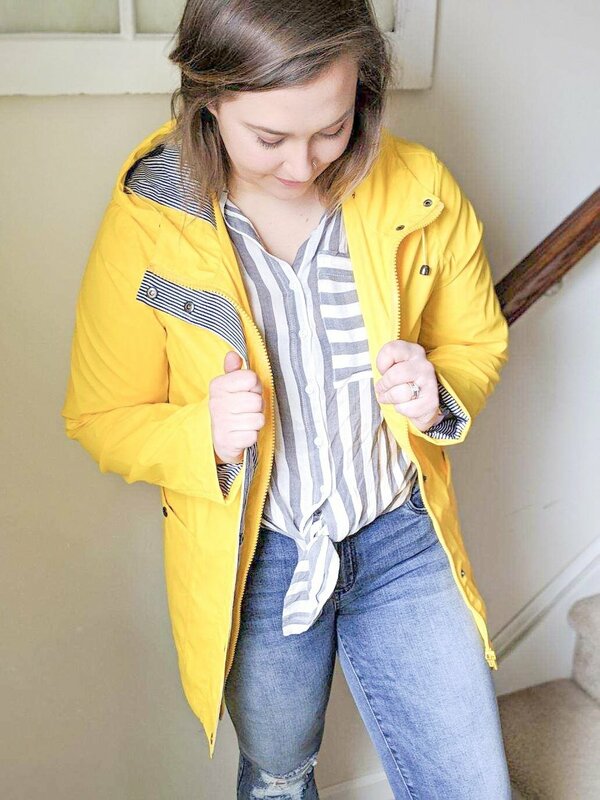 This shirt pairs perfectly with the bright yellow RD STYLE Maureen rain jacket. This jacket may be my new favorite and makes me smile every time I put it on! 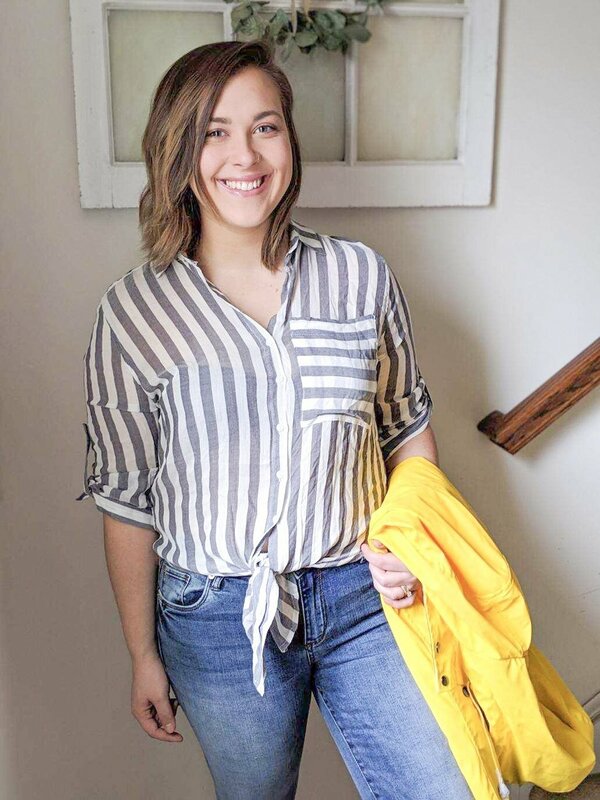 Lined with a navy blue and white seer-sucker striped pattered, you will look forward to rainy days just so you have an excuse to wear it!